What’s better than a pot of gold for St. Patty’s Day? 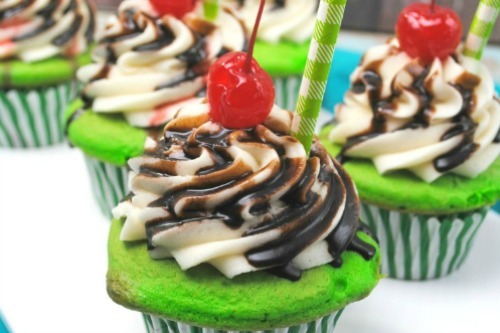 How about a shamrockin’ St Patrick’s Day dessert?! 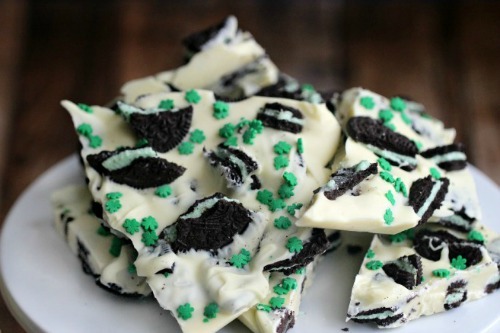 St. Patrick’s Day foods can be so much fun! Unless you’re eating a green vegetable or find that scary green fuzzy leftover in the back of the fridge… what other time do you get to indulge in fun green food? 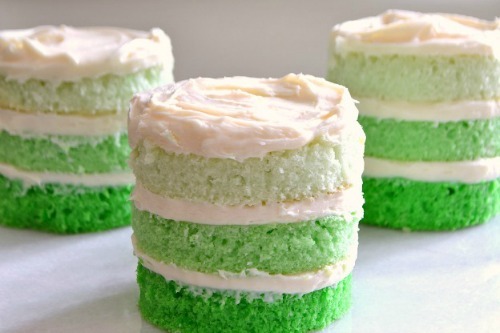 From green cheesecake to Jell-o parfaits or a festive cupcake, your little Leprechauns will be over the rainbow for one of these fantastic green treats! And yes, there’s even something for the parents after the ornery little sneaks are in bed! 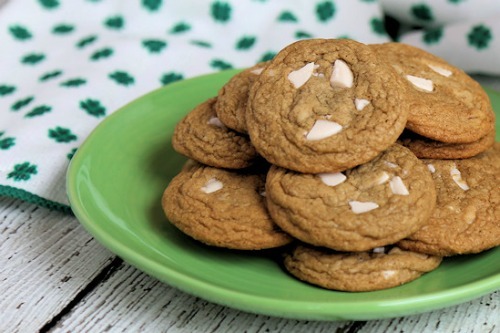 I love having a green treat for my boys when they come home from school on St. Patrick’s Day. Of course we usually do a St Patty’s Day craft or cutting activity to get all holiday festive. But there’s just something about sharing a fun treat while they share their enthusiastic stories and giggle about setting Leprechaun traps in their classroom. Or the question, “Is there really a pot of gold at the end of a rainbow?” These moments are priceless. So get cookin’, momma and enjoy those sweet little innocent questions and giggles! So good they should be in the Guinness Book of World Records! Delicious! Ombre, meaning having colors or tones that shade into each other especially in which the color is graduated from light to dark. Not to be confused with the Spanish word ‘Hombre’ (meaning man). Nope, not man cakes! 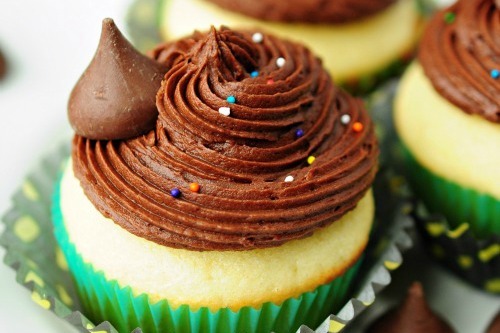 These cakes will make everyone in your house happy! Is it a shake? Is it a cupcake? You’ll just have to try it for yourself! 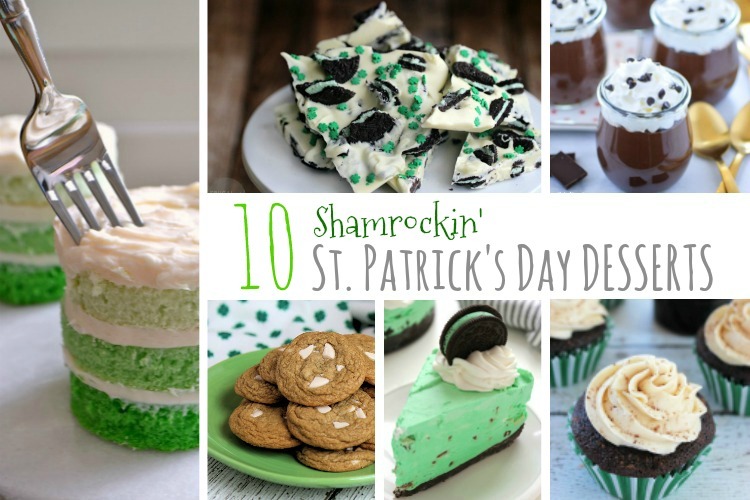 My favorite part of this might be the shamrock sprinkles on the top! 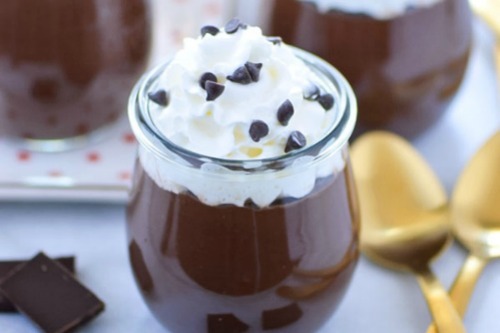 Okay… honestly, my favorite part might be that it’s a sweet treat! I’m cravin’ this stuff! Who knew that something as simple as Jell-O could be so festive? I adore how the Jell-O is molded at a diagonal! You’ll love this simple tip! It’s St. Patrick’s food on the go! But you won’t be able to take just one! Delicious! 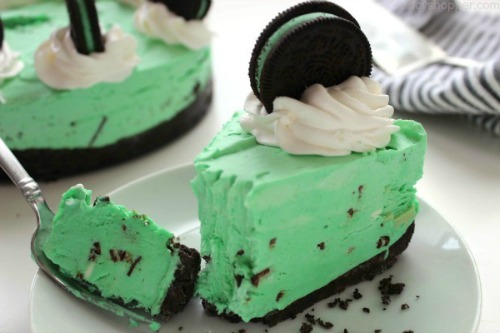 Mint + Oreo + Cheesecake… that you don’t have to bake! Need I say more? 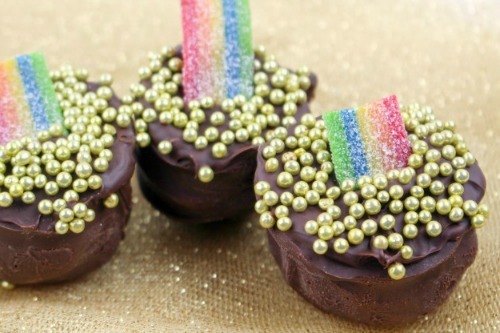 This dessert is like the gold at the end of the rainbow… OMGoodness! 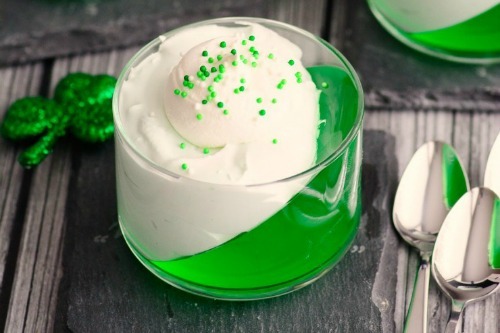 Beware… the author of this recipe says this St Patrick’s Day dessert is so good “you’re sure to get kissed”! 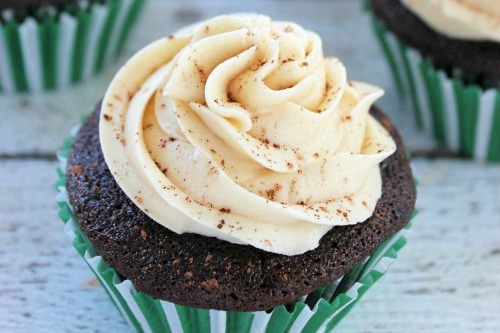 Maybe they should be called the “Kiss Me I’m Irish Cupcakes”, eh? 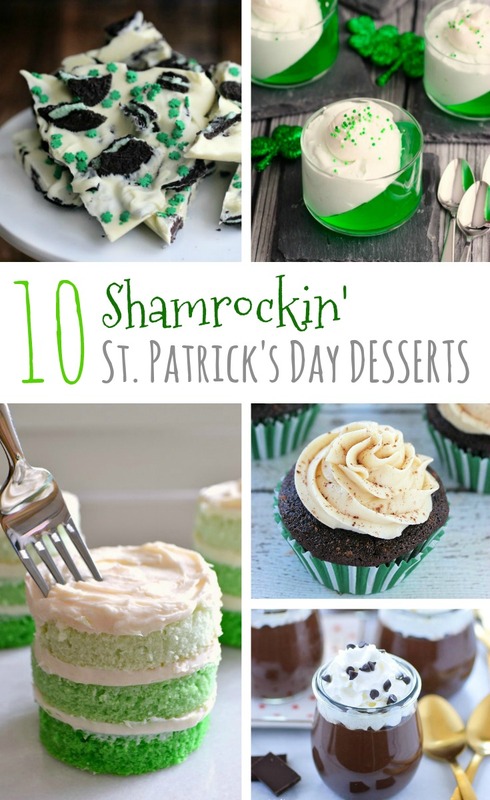 As the old Irish Proverb says, “Laughter is brightest where food is best.” These shamrockin’ St. Patrick’s Day desserts will be sure to keep everyone smiling! Happy St. Patty’s Day, friends! Thanks for sharing this fun list on the Monday Funday Party! I can't wait to try out some of these yummy recipes!